Anker's new lineup of USB-C chargers is truly revolutionary and the first one, the tiny Atom PD 1 that can output up to 27 watts of power will be available by the end of January for under $30. With this tiny charger, which is actually just slightly larger than a regular iPhone wall charger, you have more than 5 times the power, enough to power not just phones and tablets, but also many laptops. 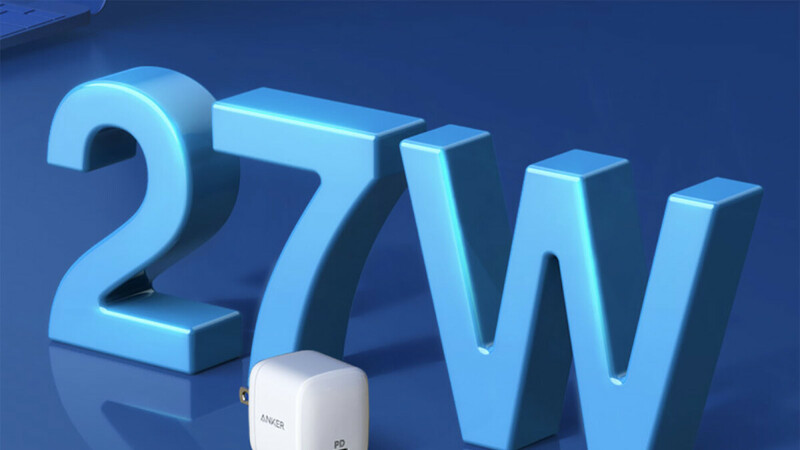 A couple of months ago, Anker unveiled a brand new series of chargers, the Anker PowerPort Atom, that will power the USB-C devices of the present and future, and all of them are built around a revolutionary new technology called Gallium Nitride (or GaN for short). GaN is a new type of material that might well replace silicon that is now used for semiconductors. 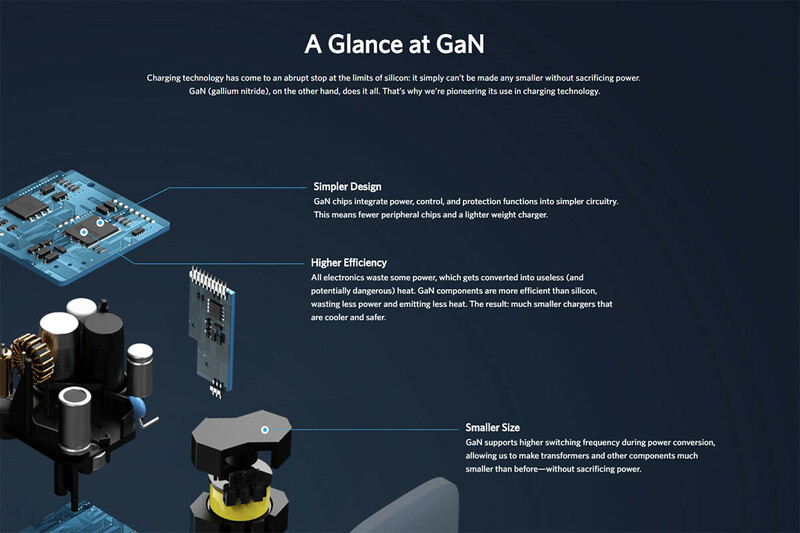 The advantages of GaN, which has a transparent, glass-like structure, lie in that it can sustain higher voltages than silicon, plus the current runs through the device quicker. 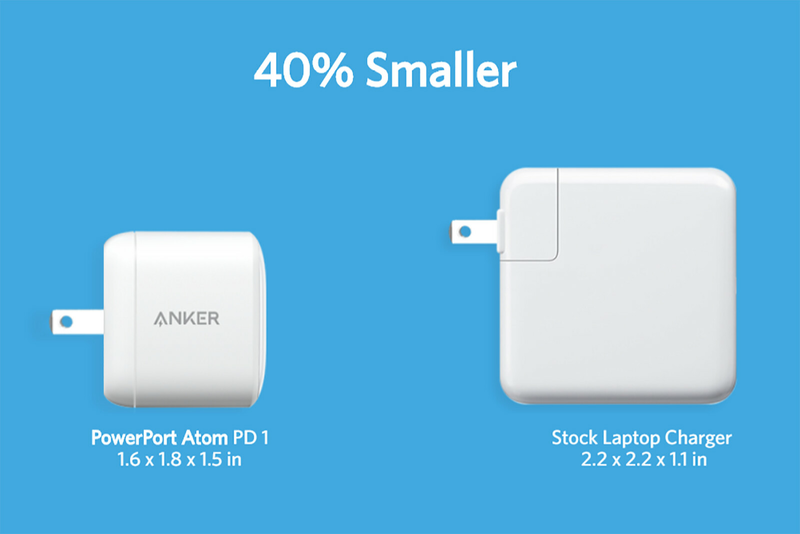 Anker advertizes the Atom PD1 as "the world’s first pocket-friendly charger with the power to charge USB-C phones, tablets, laptops, and more. All at full speed." So what does PD1 stands for in the name? PD is an abbreviation for power delivery, a standard that signifies the charger outputs more power, and the number 1 refers to the number of ports on the charger. As you can probably tell by our lengthy description, we are definitely excited about these new chargers. USB-C is quickly taking over all sorts of devices and we are looking forward to those times where we can have one cable and one charger for all our gadgets, and these Anker Atom chargers bring us closer to that dream. Expect to see the Atom PD1 on Amazon by the end of January for less than $30.